For flat, lower ceilings, the tray ceiling is a simple way to add depth and the perception of a taller ceiling to any room. It’s a simple concept – it’s aptly named for the inverted tray-like appearance. Below we set out an extensive photo gallery showcasing a huge variety of different tray ceilings in all kinds of rooms in the house. A tray ceiling appears as an inverted tray on the ceiling with a drop-down ledge around the perimeter of the room. It creates the perception of a higher ceiling. Some tray ceilings have a slight lift while others have an extensive lift. Which rooms work with a tray ceiling? Just like a coffered ceiling, most rooms can look good with a tray ceiling including a bathroom, family room, living room, dining room or kitchen. A stylish contemporary kitchen featuring elegant black dining table set lighted by a gorgeous ceiling lighting set on the tray ceiling. A lovely bright-blue sky photo ceiling in an elegant, luxurious living room with button tufting, gold patterned wallpaper, and a sun-shaped mirror. A white great room featuring hardwood flooring and a magnificent tray ceiling lighted by bright recessed lights. A dining table set on top of a classy flooring and lighted by romantic ceiling lights set on a tray ceiling. A large formal living space with a nice set of seats under the luxurious tray ceiling. A gorgeously set up media room with stylish floors and a stunning tray ceiling featuring classy recessed and pendant lights. This pool-side formal living area under the fabulous tray ceiling is the perfect place to relax with family and friends. White dining area featuring an elegant round dining table set lighted by a glamorous chandelier set on the tray ceiling. This dining table set is surrounded by elegance all over the place. The chandelier along with the wall lights and recessed lights look absolutely romantic. Elegantly setup formal living room lighted by a luxurious chandelier set on the gorgeous tray ceiling. The fireplace looks perfect together with the room’s seats. Small dining nook with U-shaped bench seating and a wood-top table lighted by a chandelier hanging from the tray ceiling. Traditional dine-in kitchen with tray ceiling, hardwood cabinetry and 2 islands. Second-floor landing featuring hardwood flooring and white walls, together with recessed lights and a charming chandelier. A luxurious master bedroom lighted by a staggering chandelier set on the beautiful tray ceiling. The walls and the floors look perfect with the room’s style as well. Large great room featuring classy tiles flooring and high tray ceiling lighted by scattered recessed lights. A spacious master bedroom featuring carpet flooring and classy walls along with an elegant-looking tray ceiling. There’s a large stylish fireplace as well. This home boasts a great room featuring a stunning tray ceiling and classy hardwood floors along with luxurious furniture sets. Small great room featuring classy tray ceiling lighted by gorgeous pendant lights and chandelier. Simple yet classy formal living room with a nice set of seats and a stylish fireplace all under the tray ceiling. A luxurious master bedroom with elegant walls and carpet flooring, along with a tray ceiling. Large master bedroom featuring carpet flooring and a gorgeous tray ceiling lighted by a captivating set of ceiling lights. An elegant dining room with an enormous archway and a tray ceiling trimmed in Flex Trim. A traditionally-styled living room with tray ceiling effect in the center of the ceiling. A dining room oozing with elegance with its dining table set, walls and tray ceiling lighted by a romantic ceiling lighting. Large home gym featuring sophisticated carpet flooring and tray ceiling lighted by recessed lights. Modern home bars with hardwood flooring and multiple tray ceiling along with stylishly designed walls. This game room features a stylish billiards pool set on the hardwood flooring and is lighted by recessed lights set on the tray ceiling. The red walls and tray ceiling lighted by a modern chandelier make this game room look tantalizing. A media room in a contemporary style looking sophisticated with its sleek couches and sound-proof walls. A majestic home theater with black curtain matching the black theater seats in front. The tray ceiling adds elegance to the room. The tray ceiling of this home theater and bar is just so stunning. The walls look perfect together with it. This kitchen set up boasts brown cabinetry and counters matching the brown tray ceiling. Pink-themed girl’s bedroom with a bewitching tray ceiling with twinkling lights. White master bedroom featuring carpet flooring and tray ceiling along with its private balcony. A stunning home set up with a tray ceiling. The floors and the sofa let looks so attractive. 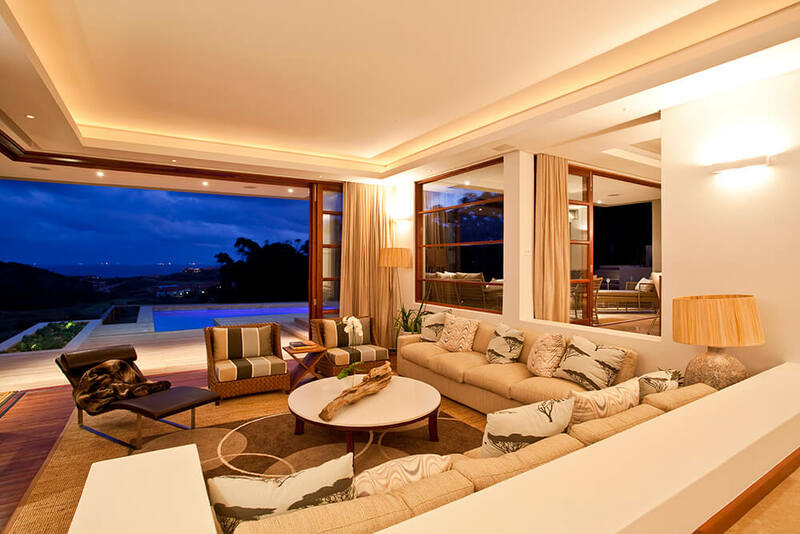 Large formal living room with a large sofa cozy sofa set under the white tray ceiling. A small dining nook featuring classy seats and glass top table lighted by a classy chandelier set on the tray ceiling. Modern living room with bright custom blue sky photo ceiling with some clouds. Small bar area with a charming counter set on the carpet flooring and is lighted by a modish chandelier hanging from the tray ceiling. This home features an open space featuring a formal living room and square dining nook set on the hardwood flooring topped by classy rugs and are both under the home’s tray ceiling. A classy home theater featuring a majestic black and gold tray ceiling pairing with the cream walls and small island almost perfectly.